Guty & Simone wedding band in Tuscany, live music entertainment during an English wedding at Pratello Country Resort in Peccioli, Pisa, Tuscany, Italy. Guty & Simone, the well known Italian professional wedding musicians from Tuscany, Italy. English wedding in Tuscany. They usually play live for the after dinner party. During the dinner they play some mp3/ipod background music and provide a wireless microphone for your speeches. The duo is very flexible with time. 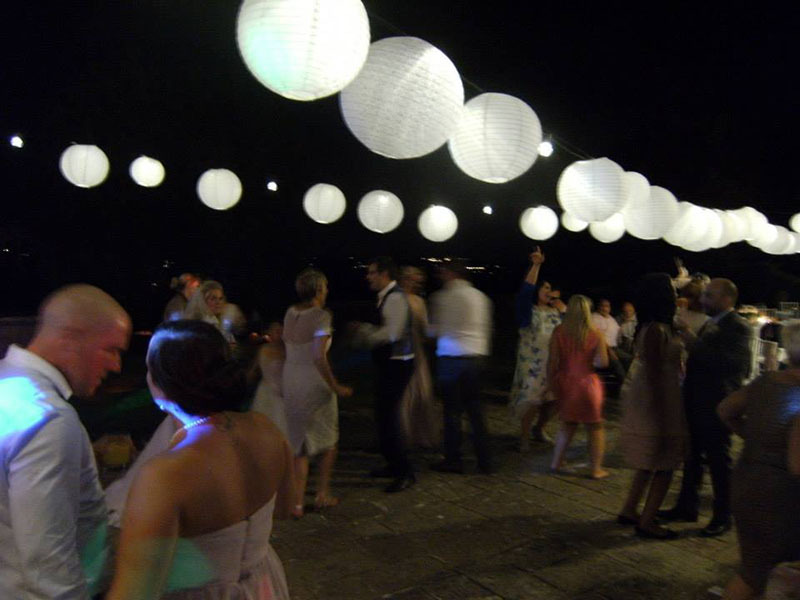 They also take care of background music in the various moments of the event and moments of Dj set during the dances. It is also possible, in any moment to play music from your iPod, Pc, Laptop, iPad, Tablet, Smartphone, or any other sound devices.